A splash of yellow is like happiness to the heart. Golden tones so sweet on a grey day. 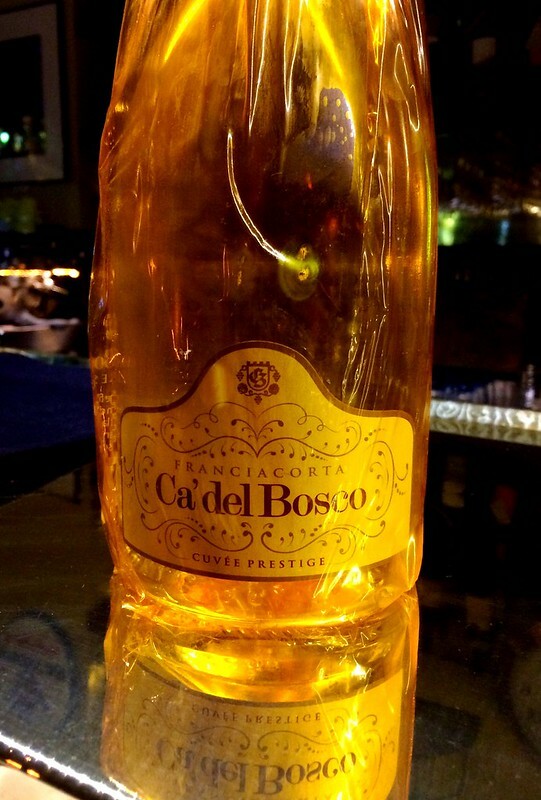 A lovely glass of new favourite new bubbles of choice – Franciacorta’s “Ca’ del Bocco” Cuvee Prestige- seated quietly at Caffe E Cucina, served with a snack of spicy savoury biscotti. Heavenly. I haven’t been to Caffe E Cucina in such a long time and it was quite wonderful to be greeted with a friendly “Buonasera” and charming smiles of the Italian waiters who happily answered my questions about the wine before the evening crowd started to wander in. I took time out to be on my own for a little while, listening to the world go by and taking in the image on a postcard of artwork by talented young Thai artist Paitoon Jumee which I picked up at Tusk Gallery on my walk . 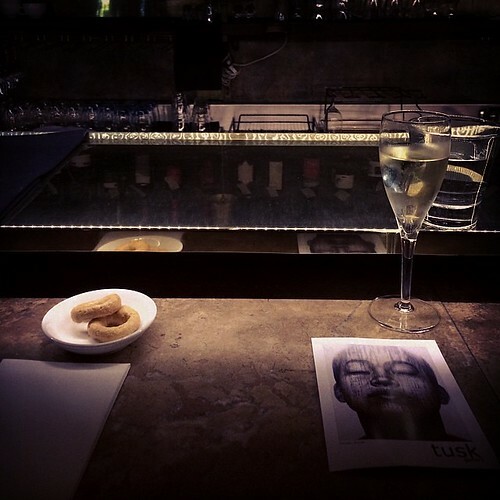 The waiter topped up my water and I let the last drops of the wine linger before I headed off to see a movie. Note to self: must come back again for 15 year wedding anniversary celebrations. 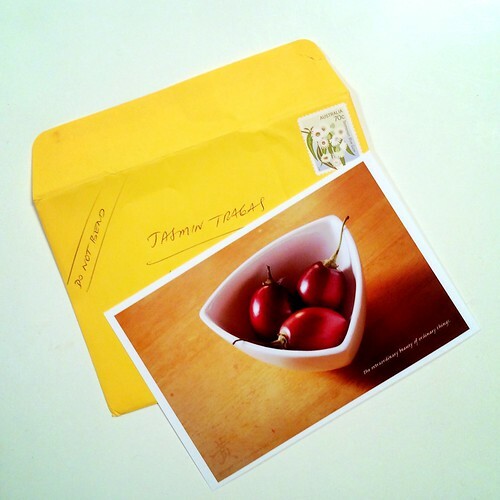 A yellowy yellow envelope received in the mail today from a wonderful friend, a note of gratitude, a handmade postcard. And tonight, yellow is the colour of saffron and turmeric giving a zing to the Indian food my husband is picking up for dinner. Bliss. 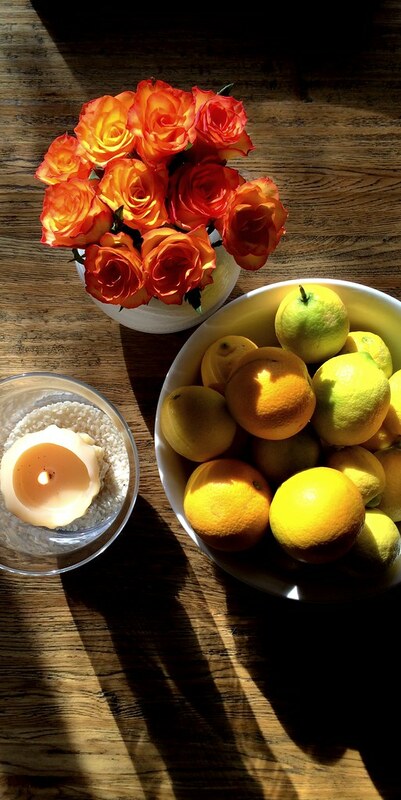 Yes yellow – appreciated, absorbed, and in moderation – is really quite divine.